On 9TH May 2014, the first edition of The Indian Weekly rolled off the press. It became the first Indian news magazine in Australia to hit the stands weekly. With Victoria having the largest number of Indians in Australia and a rich multicultural population, we wanted to be the cutting edge in the dissemination of news and information. YES, a lot can happen in a week. That is why we are here to break the news, inform, entertain and also importantly, tell your stories. So our presence in the media industry comes with our weekly English edition and our up-to-the-minute web portal. Backed by a small team of professional journalists and writers, the magazine covers news and features relating not just to Melbourne’s Indian community but the Indian diaspora. Major sections covered in the magazine are news, opinion, business, sports, Bollywood, health and lifestyle, events, real estates and classifieds. Printed once a week (every Friday), the Indian Weekly targets Victoria’s every growing Indian population, stimulating the mind of every reader. It is involved closely with Indians residing in Australia and what they want to read about, reflecting their concerns and interests. It aims to define cultural sensibilities and also contribute to the rich fabric of Australia’s multiculturalism. The Indian Weekly has a dedicated readership and is distributed in more than 180 outlets around Melbourne. It is also helping businesses by giving them the opportunity to promote their products and services for its advertisers. For those looking to reach out and making their presence within the community, there is no better vehicle than The Indian Weekly – Indian Newspapers. 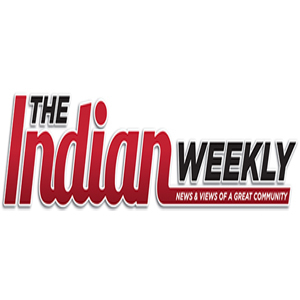 Indian Weekly is the first Indian news magazine in Australia to hit the stands every week.